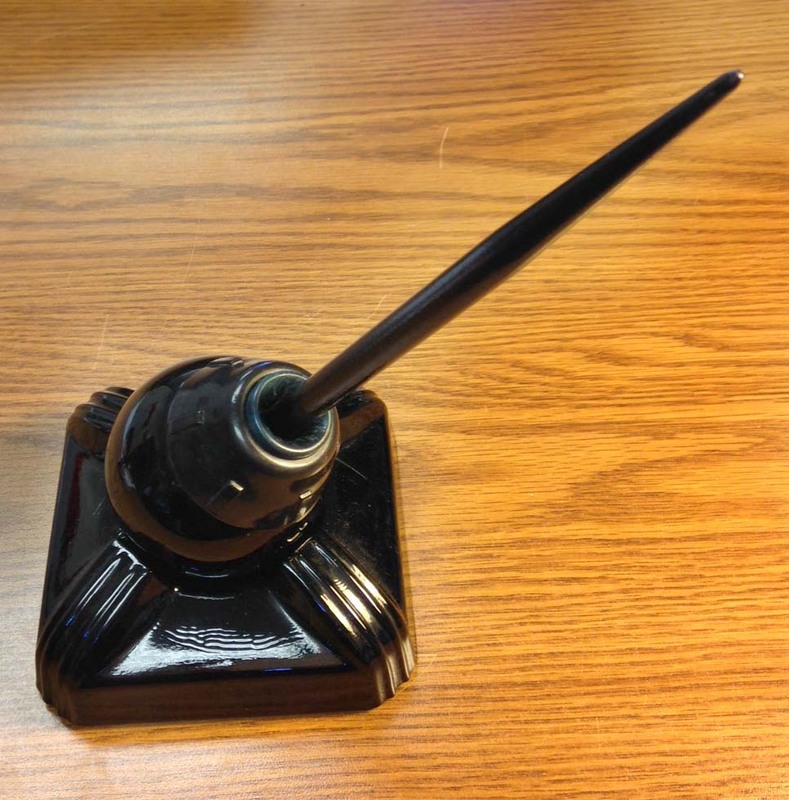 PS: This inkwell is called a Swivodex, and here's the patent for it. 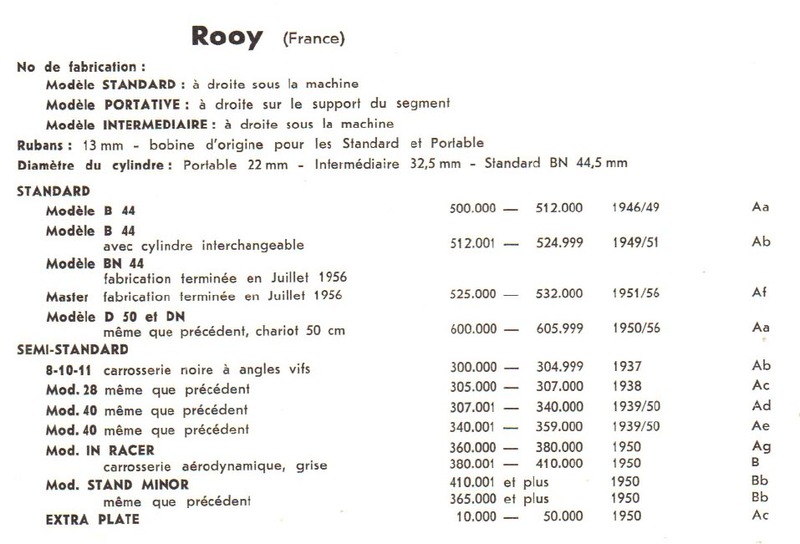 "1936 Rooy. 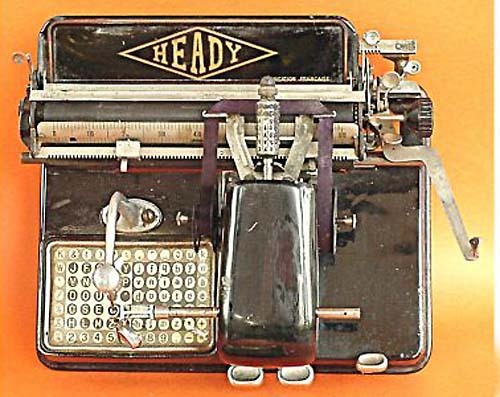 Designed by Auguste Félix, manufactured by Etablissements M. & J. Rooy, 3-5 Rue Romainville, Paris XIX, which previously manufactured the Heady." Yes, it's a near-clone of the Mignon. 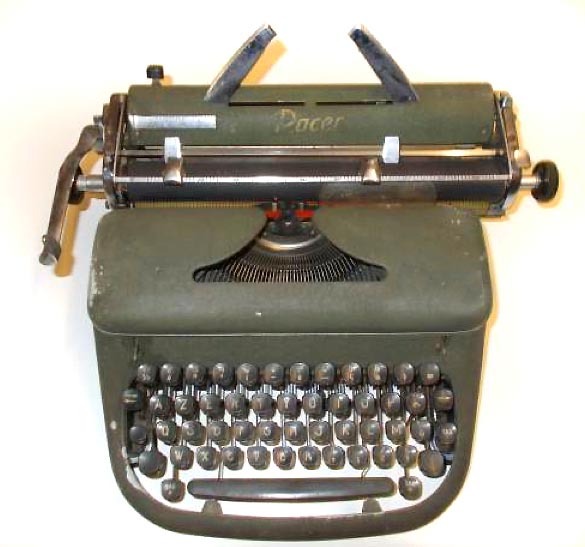 Keep in mind that the Mignon was produced by AEG (Allgemeine Elektrizitäts Gesellschaft, the "General Electric" of Germany), which also produced the Olympia (called the AEG typewriter until the name change to Olympia in 1930). "The carriage runs on ball bearings. The paper table can be tilted up so that one can set the margins while remaining seated. 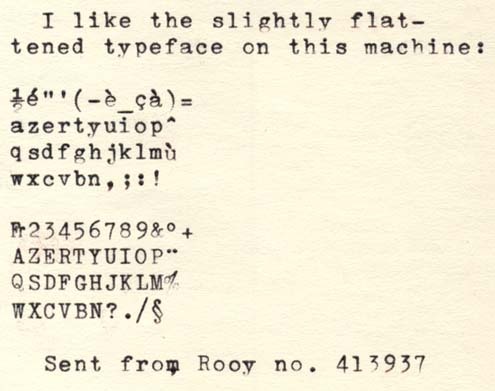 The segment is slightly tilted, so that the typing can be seen without any strain. Line advance with three positions at left, movable Papieranlage [I'm not sure what that is], paper guide, postcard holder, covered ribbon spools, bicolor ribbon, automatic ribbon reverse, bakelite keys, weight 7 kg. Illustration 796 shows the escapement, whose noise is almost eliminated. When the carriage is returned there is very little sound. The tabulator stops are set and cleared with keys. 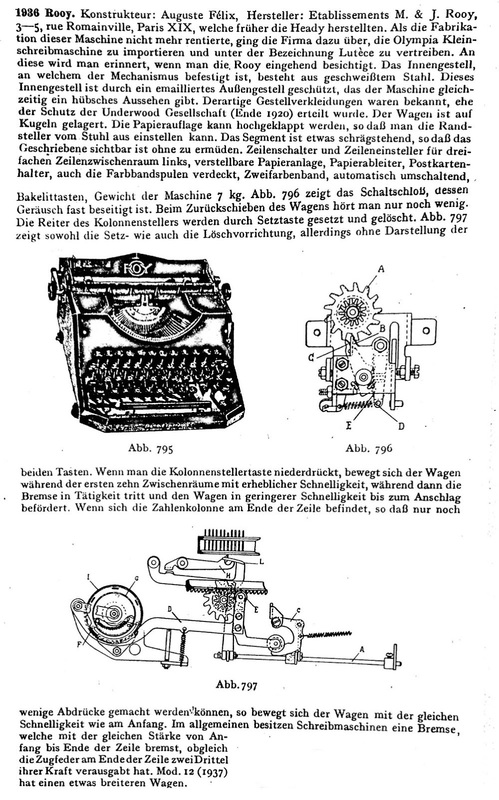 Illustration 797 shows the mechanism for setting and clearing, but does not show the two keys." Now, here is a sophisticated feature that I hadn't noticed at all. "When one depresses the tabulator key, the carriage moves quite quickly for the first ten spaces; then the tabulator brake is engaged and reduces the speed of the carriage. Near the end of a line, where only a few keystrokes are possible, the carriage moves with the same speed as at the start. 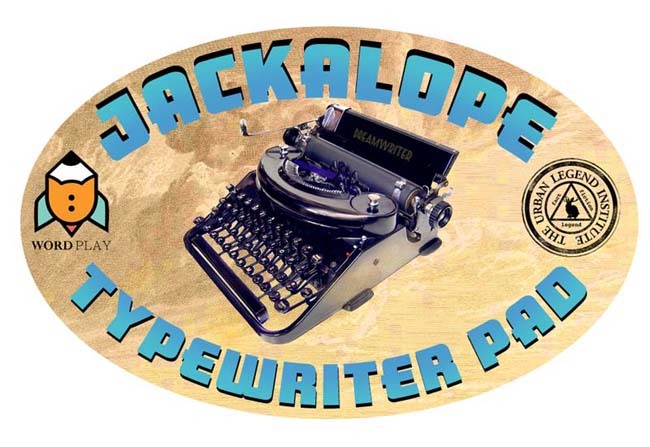 In general, typewriters have a tabulator brake that brakes with the same force from the beginning to the end of the line, even though by the end of the line, the mainspring has lost 2/3 of its force. Model 12 (1937) has a somewhat wider carriage." I also received several interesting illustrations from Jean-Jacques Deurdilly via Marc Pellacoeur. Here's one nice feature that I've noticed on my machine: "Thanks to the movable paper-holding rollers on the paper bail, the paper can be introduced without any need to raise the bail." 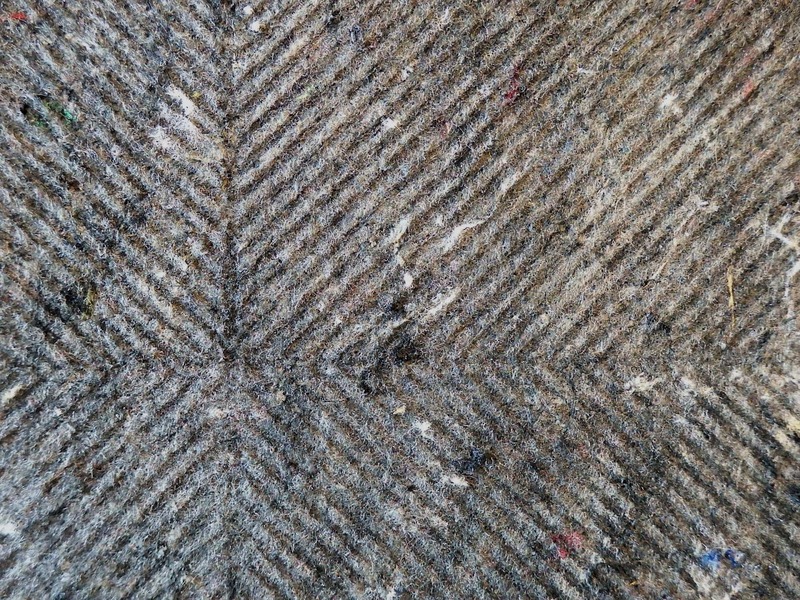 Let's look at some other styles in which the intermediate Rooy was offered. According to this document, the "semi-standards" 8, 10, 11, 28, and 40 have a "black frame with sharp angles"; the "IN Racer" and "Stand[ard] Minor" have a "gray aerodynamic frame." Since my serial number is over 410000, it may be designated as a Standard Minor, but I'm going to wait for more evidence. The accuracy of this list is questionable. 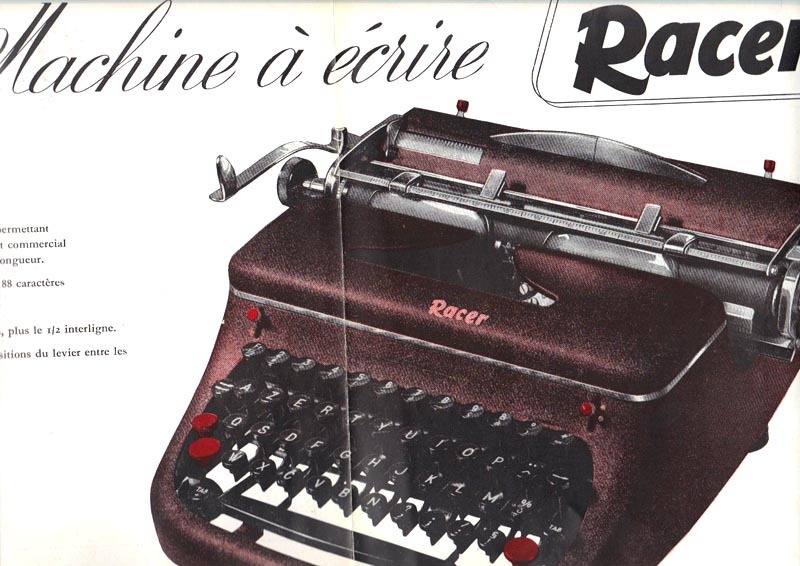 A Rooy-made "Olympia," in the Racer-style body! If you click on the image to enlarge it, you'll see that just below the Olympia logo on the machine, the words "Licence Française" appear. 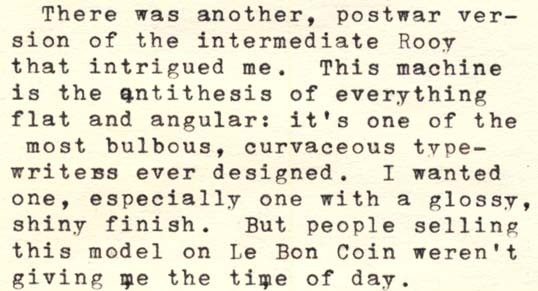 So the Rooy-AEG/Olympia connection continued after the Second World War. However, these "Olympias" must be very rare. 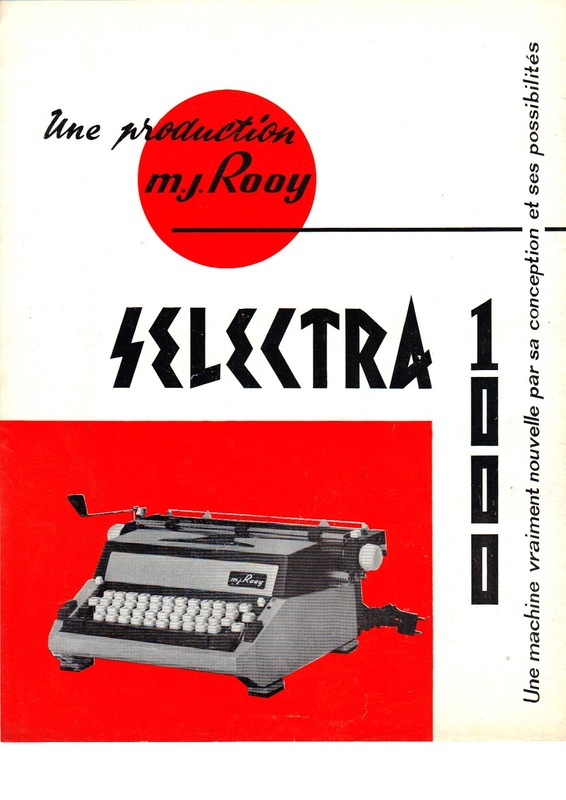 Finally, here is a machine that may be even rarer: an electric Rooy, the Selectra 1000. It looks like it dates from the same period as the angular machine pictured above. 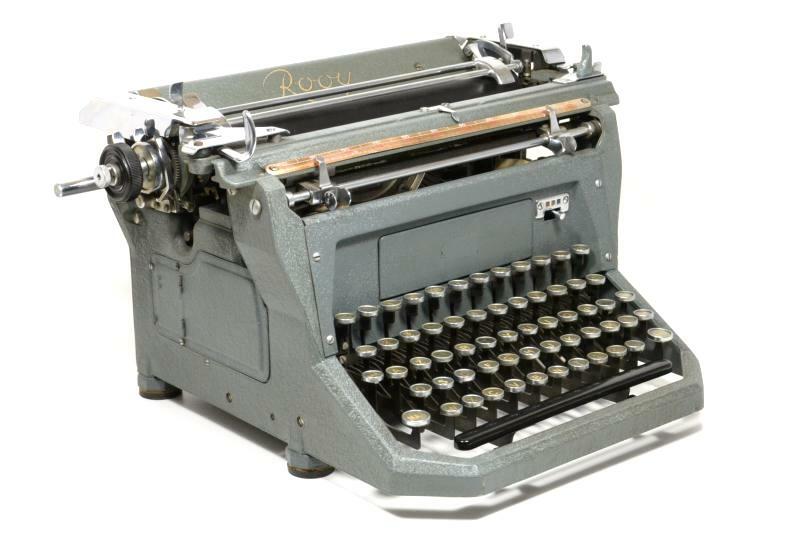 Since it has a carriage return lever, the carriage must not have been returned electrically. Presumably, electric power was just applied to the typebars. 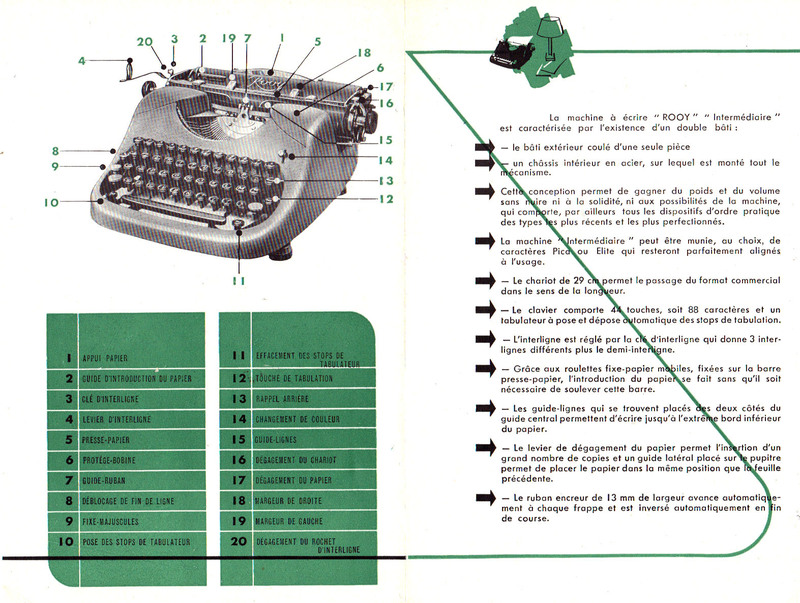 The typewriter appears to be built on the same principles as the Intermédiaire. Does anyone have one of these?? 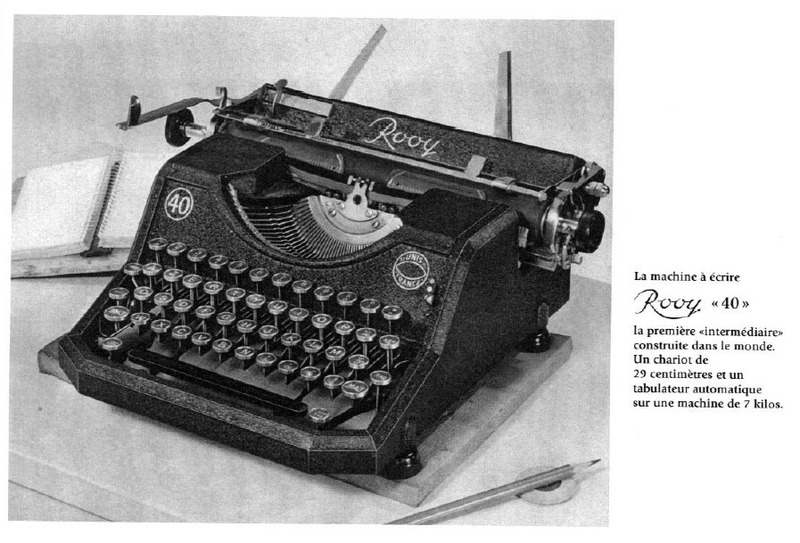 For more on Rooy typewriters, visit Will Davis's page. 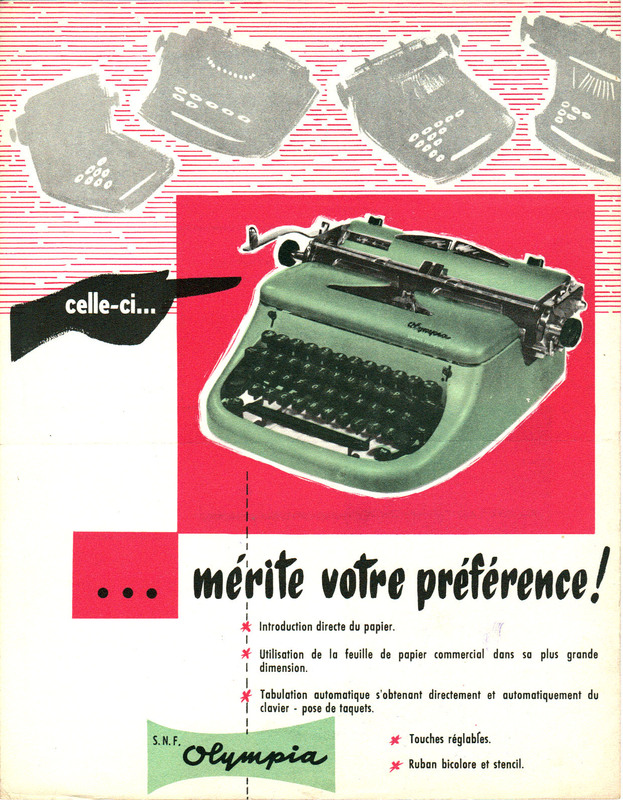 According to one French collector whom Marc consulted, this model is the SB (Semi-Bureau), made 1950-1954; the glossy version was probably produced toward the end of this period. 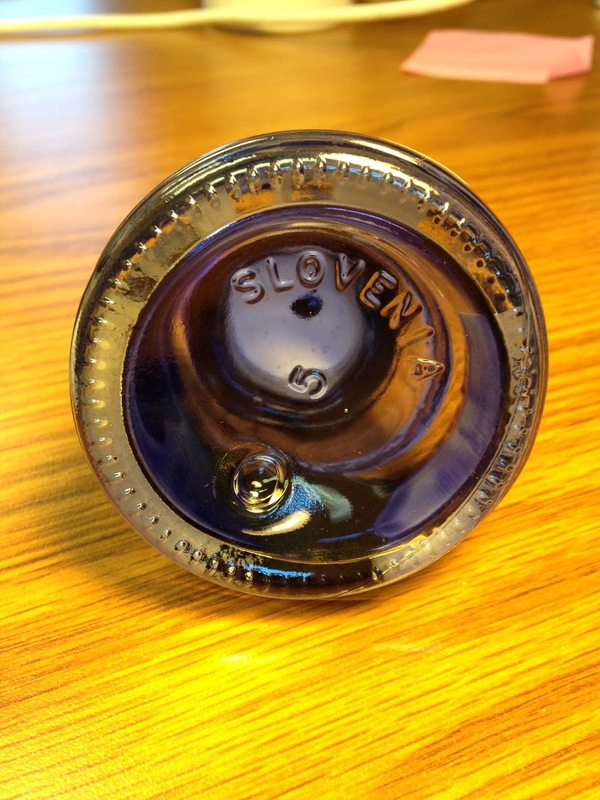 Other collectors have called it the IN (Inter) model. 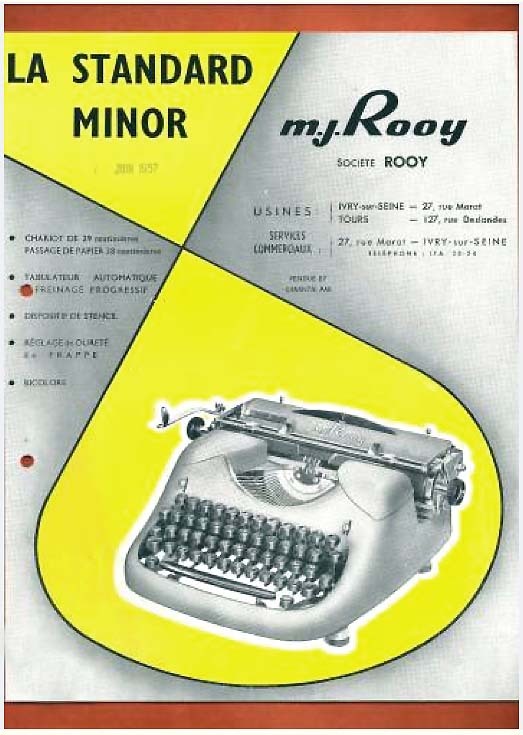 But according to this brochure, it is the Standard Minor -- and I have seen a few examples with that name (under "Rooy") on their paper table. So for now, given this evidence, I'll call it the Standard Minor. The ribbon covers rotate very smoothly out of the way. The pieces under the ribbon cover up nearly everything on both sides of the typebasket, creating a very enclosed appearance. Marc is sending me a couple of plastic buttons to top my margin stops. 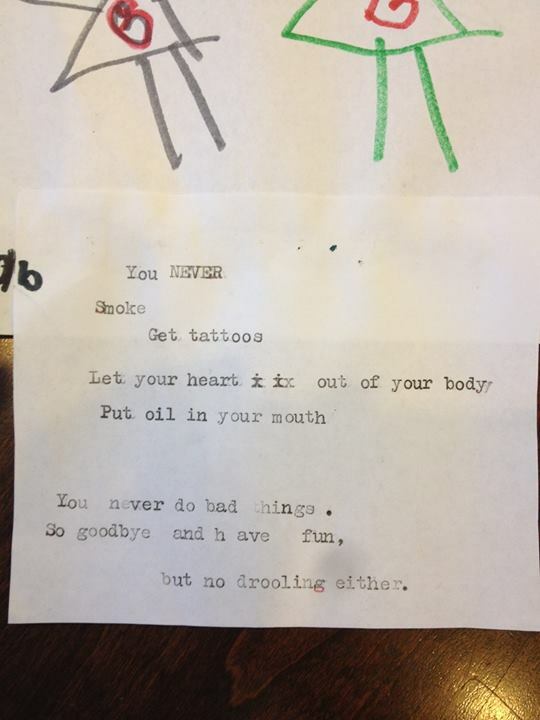 But I couldn't wait to share this typewriter online. 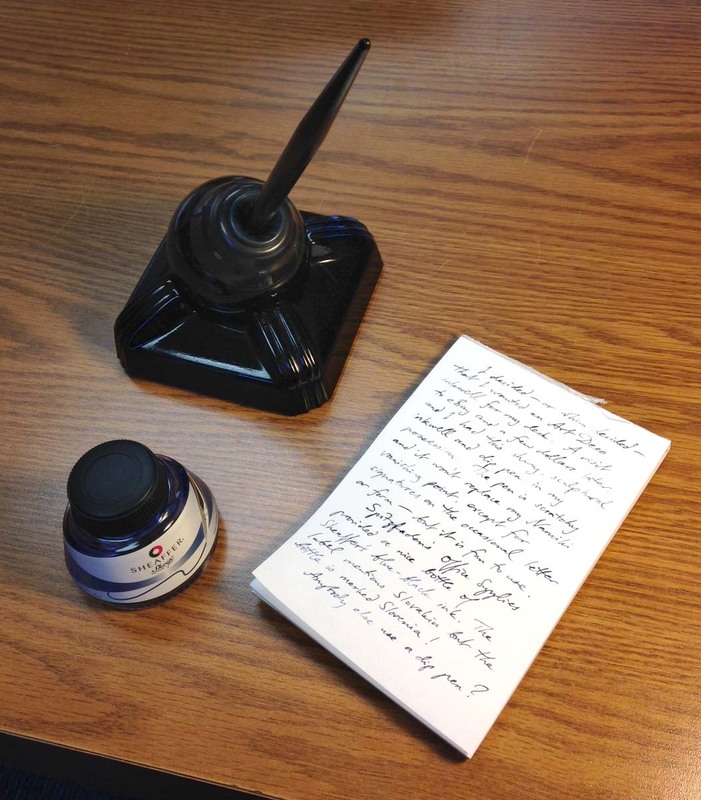 "I am enjoying the very useful pad. Incorporating the non-skid material with the felt is genius." 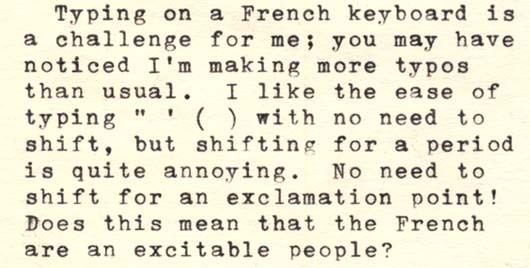 "It is a marked improvement from the placemat and its mild protests to the typewriter's journey across the table." "The non-slip surface on one side is a great idea!" 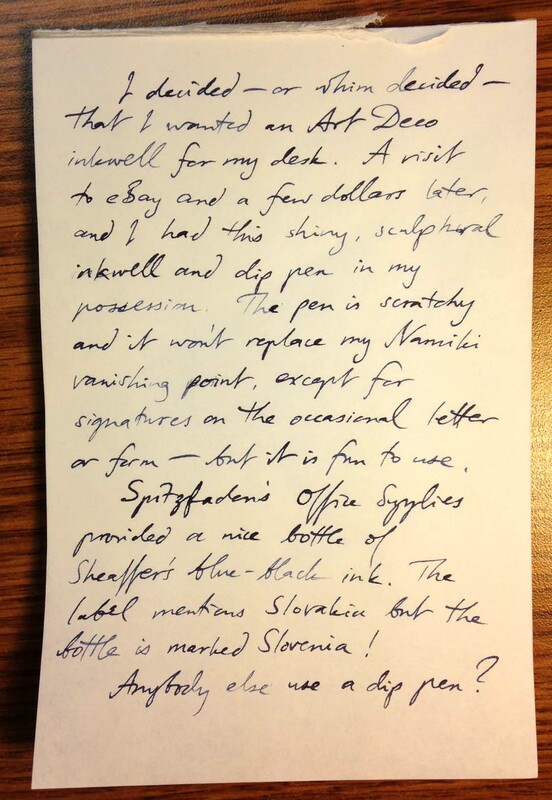 "I could not be more pleased. 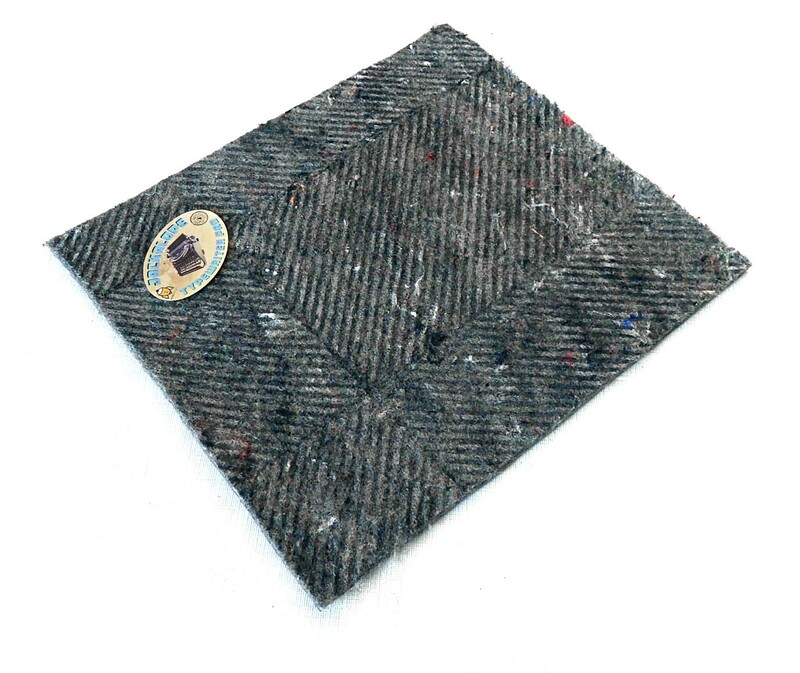 I had been using shelf liners with either felt scraps or dish drying pads atop. 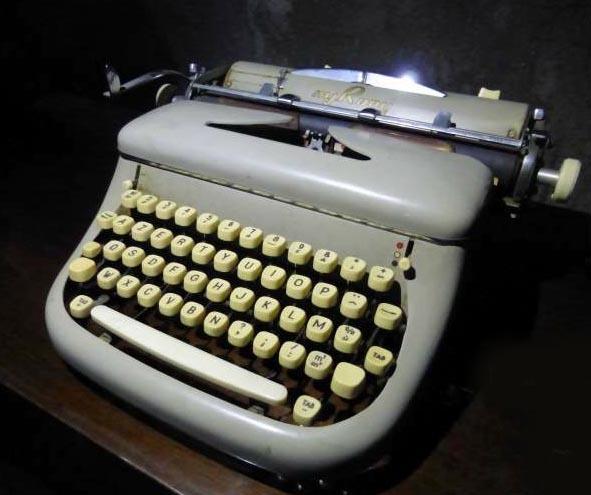 While they helped keep my typewriters in the general vicinity of where they were being used, they all, eventually skittered away. So far, my Jackalope has held fast. Neither my Olympias nor my Smith Coronas have budged it. 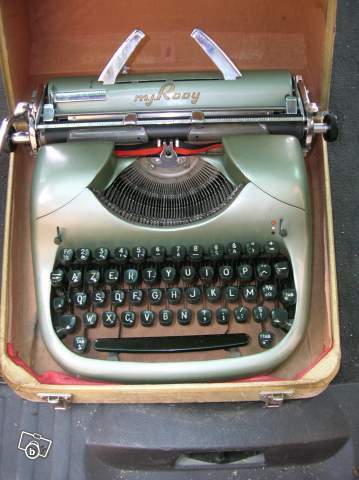 If I'm taking a typer with me I just put the pad in the top of the case, close it up, and I'm good to go." "It's definitely the best one I've got. The rubber footing works much better than the other rubber mat I have." 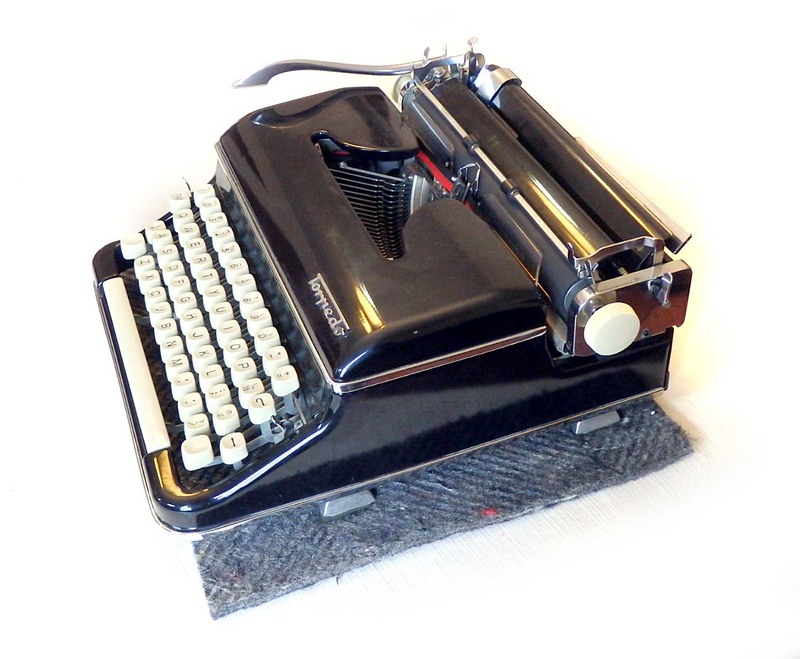 "It definitely does a great job muffling typewriter noise, in fact, much better than any makeshift pad I've used. 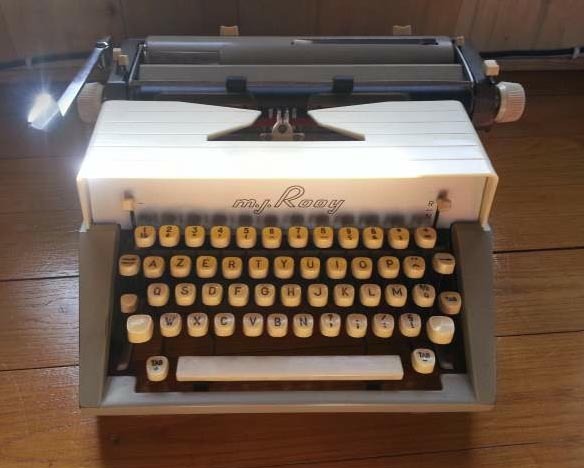 The thickness and firmness are just right, and the texture of the felt provides a good grip so that the typewriter stays in place while typing." 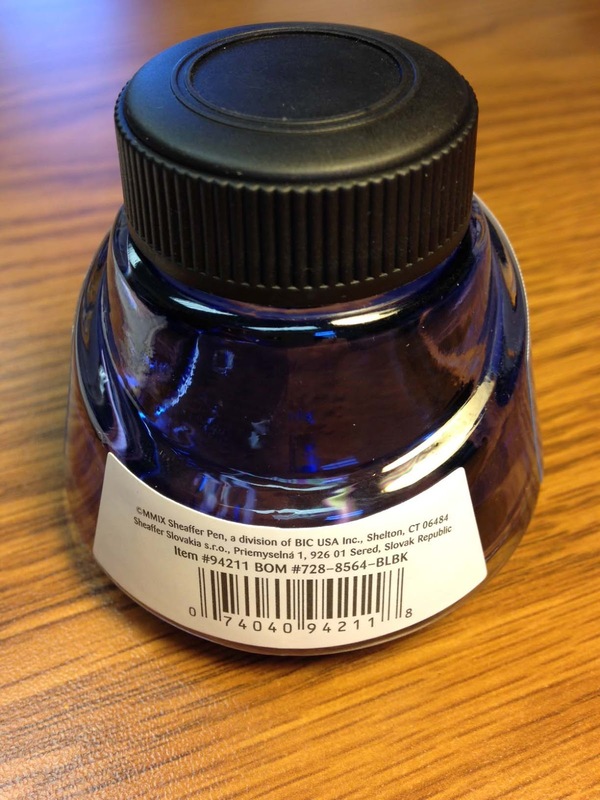 One typist requested a different color choice, and a couple of people would prefer a thicker pad. I haven't been able to get a thicker option, but I do have a version of the pad in a different color now. 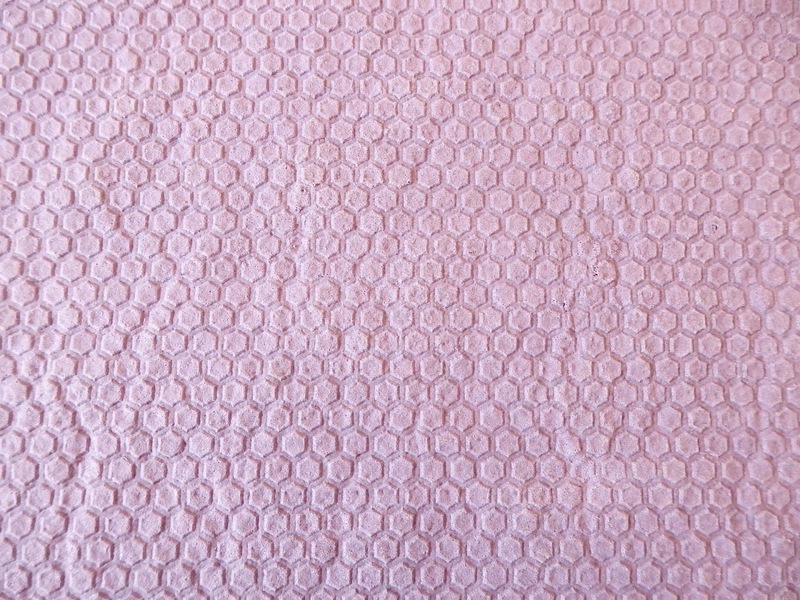 These pads are also an inch shorter on each side (12" x 13" x 0.25") and a dollar cheaper. The price is $10.99 + $3.00 US shipping. 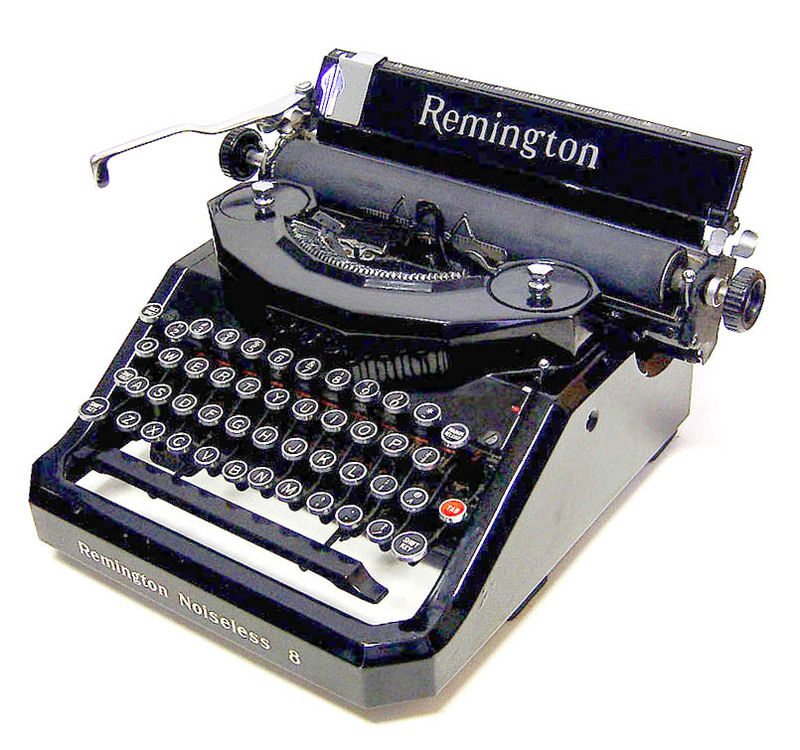 Just about every typewriter, portable or standard, will fit on the pad. Again, quantities are quite limited, shipping is to US only, payment is only through PayPal (credit cards can be used), and I will note on this post that the pads are SOLD OUT when they're gone. Once again, all profits will go to WordPlay Cincy. The pads are now SOLD OUT. 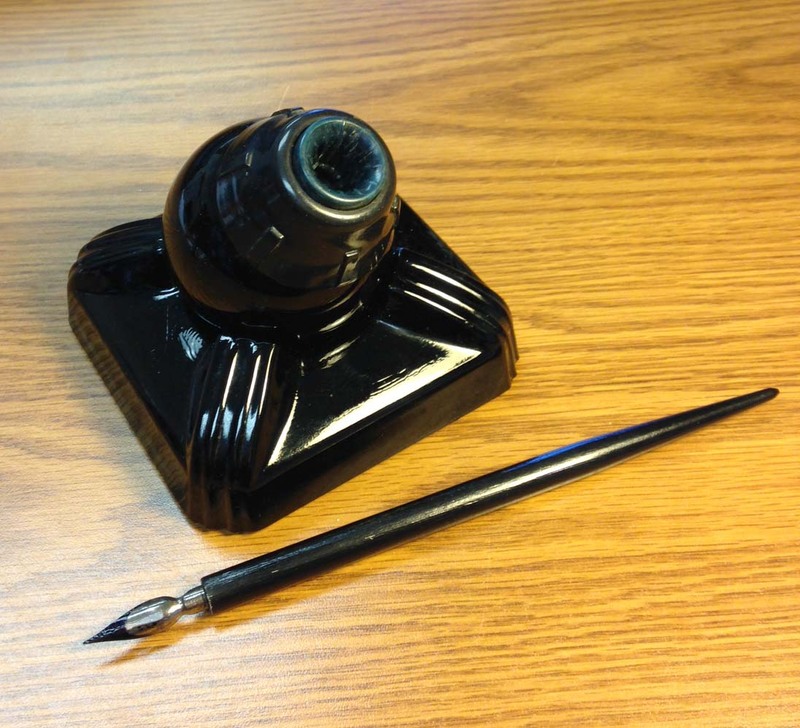 Keep your eye on this blog, as I will have more to sell sooner or later.